A large crop circle has appeared overnight in the South West England county of Dorset. Although the Daily Mail is reporting it to be the first for the 2014 season, there have actually been dozens of crop circles reported this summer, according to the Crop Circle Connector website. Either way, the crop circle in Dorset is certainly one of the most spectacular. The Dorset pattern is over 400 feet long, and is made up of a star pattern with circles within circles. Williams says the decrease in the number of crop circles being made is due to farmers getting more and more frustrated by the loss of crops and the tourist who come to visit the circles. Williams says many of the great crop circle makers are afraid of getting fined, and have thus stopped making the circles. Thus far, Williams himself is the only crop circle maker to ever get fined. He was fined £100 after being busted for creating a crop circle in 2000. He has since stopped making crop circles, not because of fines, but because he has developed hay fever. Last year many of the crop circles that did appear were of low quality, garnering the moniker “crap circles.” Perusing the crop circles from this year it seems the crap circles have returned. 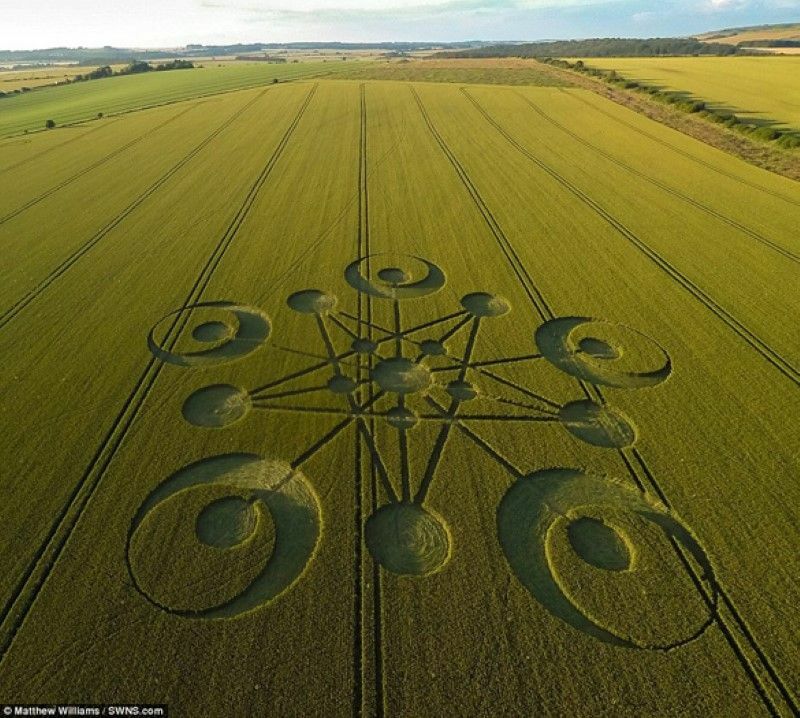 Although it is obvious many of the crop circles are created by human beings, awe inspiring formations, like the one in Dorset, cause people to wonder if perhaps some of them are created by extraterrestrials or have some other paranormal origins. Last year, Williams told the Daily Express that he has had paranormal experiences out in the fields while making crop circles. According to Williams, he is not the only one who experiences paranormal activity out in the field. He says all of the crop circle teams he is aware of have had similar experiences. Louisiana loud boom: Earsplitting boom shakes the ground. Sonic UFO, meteorite?